Rating boards like the Entertainment Software Rating Board (ESRB) occasionally leak information on games prematurely. It is an occupational hazard in the industry that is just bound to happen once in a while. Last weekend, the Australian Ratings Board posted a PG rating for “Minecraft Story Mode: Season Two – Episode 1: Hero In Residence,” indicating that the second season of Telltale’s Minecraft: Story Mode is on its way. Telltale took the leak in stride and announced today that the title was indeed coming soon. According to Eurogamer, the studio said that the first episode of Season 2 would land on all platforms (consoles, mobile, PC, and Mac) in just a few days on June 11. While the new season will have familiar characters with Jesse being the central figure, the company says that the story will be independent of the first season. Anyone new to the series will not feel compelled to play through the first season to catch up. However, the game will still factor in Season 1 choices for players who did play through the first season. One new thing that Telltale decided to add this time around is a feature called “Crowd Play.” This mode allows the audience to help make story decisions together. Details on the feature are vague, but it sounds like a gameplay mood looking to make the interactive story more social in nature. Several people will be able to connect to the game through the internet and make decisions collaboratively perhaps by voting. Approaching decision making in this manner could lead to interesting results with no one knowing exactly how the story will play out. 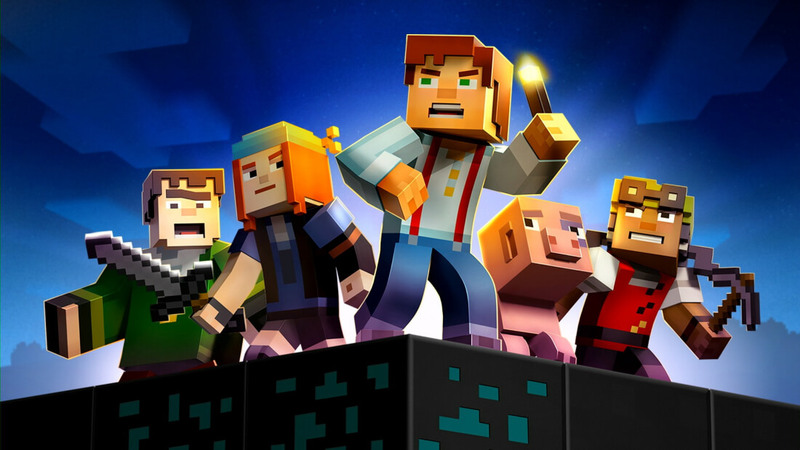 Season 1 of Minecraft: Story Mode had mixed reviews, but sold well enough to warrant a three-episode extension of the season. Not only that, all eight episodes are being bundled and ported to Nintendo Switch in a package called Minecraft: Story Mode – The Complete Adventure. The port is expected to hit the Switch on July 18. There is no word on when the remaining four episodes of Season 2 will launch, but Eurogamer says that “a disc-based release of the full season will follow this autumn,” so we can expect that all five episodes will launch before then.